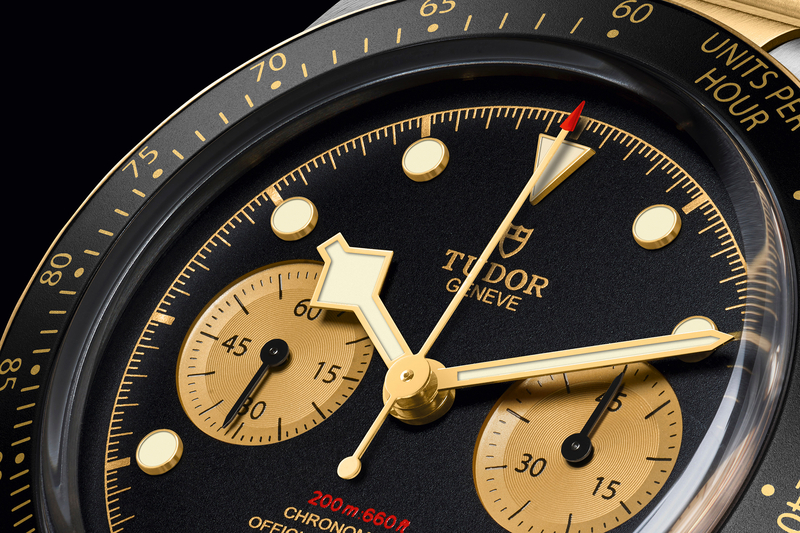 The Tudor Heritage Black Bay was first presented in 2012 with pink-gold hands (including the signature Snowflake-shaped hands) and hour markers, a black-brown dial, cream colored luminous material and a burgundy red bezel. Now two years later, in the same 41 mm steel case, Tudor presents the Heritage Black Bay – Blue. Unlike the previous Heritage Black Bay that has a vintage aesthetic, this new version has a bit more of a modern look to it. 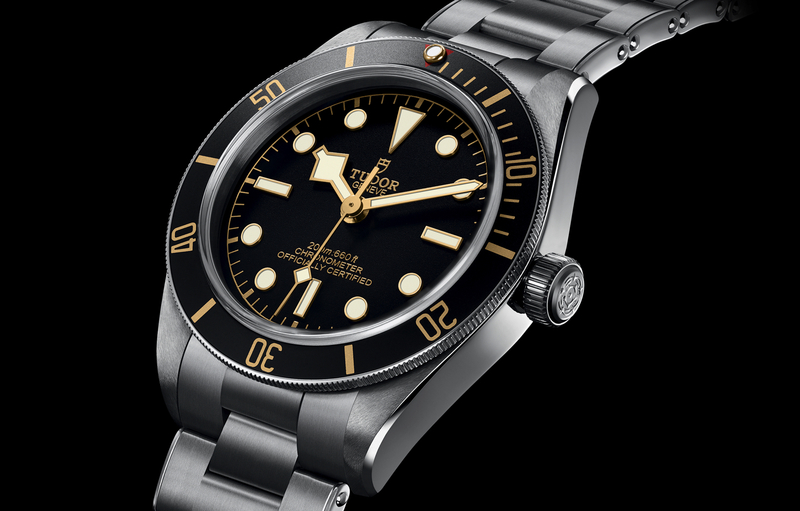 As we stated above, this is a contemporary version of the Tudor Submariner. It’s inspired by a number of historic Tudor references, however, it is a totally new model that does not fully replicate any one past reference. The case, for example, is reminiscent of the first Tudor Submariner, Ref. 7922 which was began production in the 1954 (pictured above). The crown is based on the circa 1958 reference 7924 (nicknamed the “Big Crown”). While the “Snowflake” style hands come directly from models produced from 1969 until the early 1980s, such as the reference 94110 (pictured below). The Black Bay has a unidirectional steel bezel with a matte blue insert and a domed crystal. Its stainless steel case is polished and satin finished and features a big screw down steel crown with a blue aluminum crown tube. The caseback is screwed down. Water resistance is 200 meters. 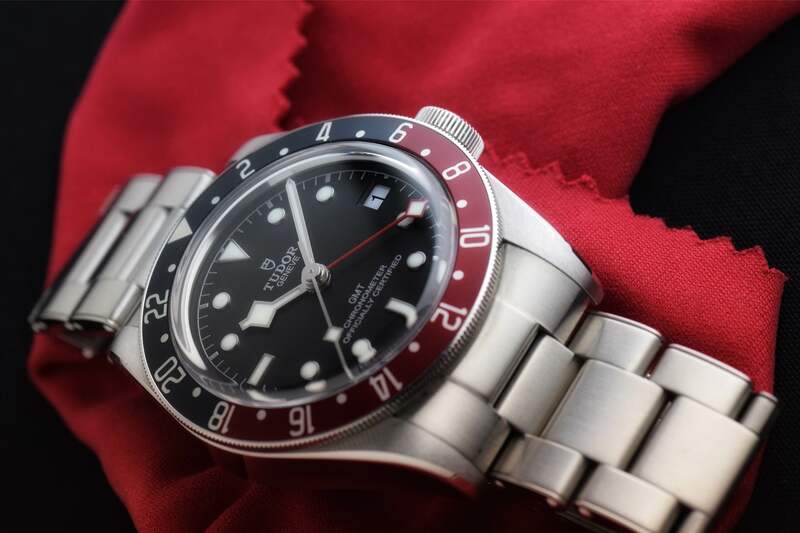 Like the original Heritage Black Bay, it is powered by automatic Tudor caliber 2824 (which is an ETA 2824 modified to Tudor specs) with a 38-hour power reserve. 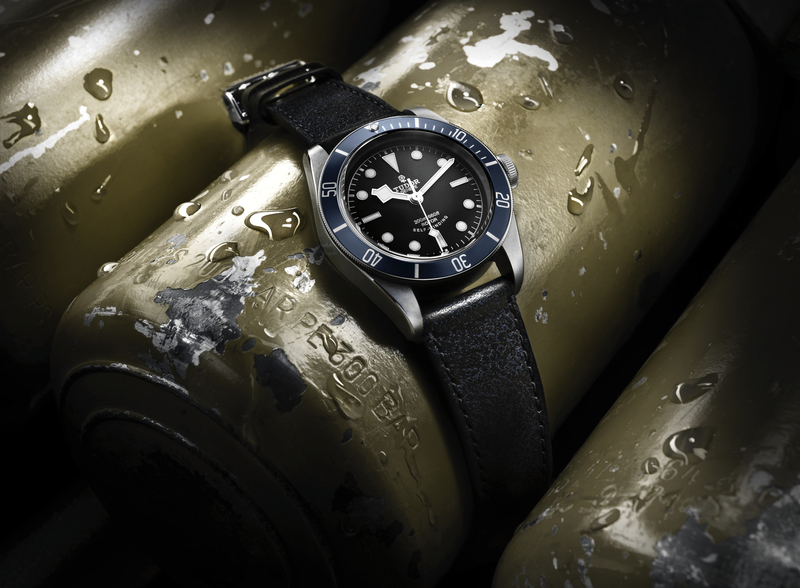 In the second half of the 20th century, the French Navy used Tudor diver’s watches, and they were generally blue. This explains the midnight-blue bezel, the matching blue anodized ring around the crown, and even the optional midnight-blue distressed leather strap.